Kinchafoonee Cowboys Sing "Sic 'Em Dawgs"
Kinchafoonee Cowboys Sing "Sic ‘Em Dawgs"
Back in 2001, the Kinchafoonee Cowboys released their single “Sic ‘Em Dawgs.” The song used to be played before Georgia Bulldogs football games in Athens. It also energizes their loyal fans when played at various clubs. You can stream or download the “Sic ‘Em Dawgs” single for free at ReverbNation.com. 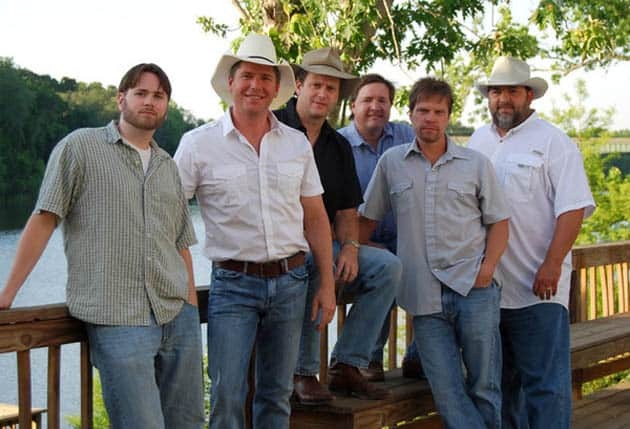 The Kinchafoonee Cowboys formed back in 1991 in Terrell County, Georgia. Their name comes from “the Kinchafoonee Creek – a tributary of the Flint River that flows through Lee County and Albany.” Several of their members attended the University of Georgia, thus making them popular in Athens and around the State. If you haven’t heard the Kinchafoonee Cowboys, you are most likely to catch them at the Georgia Theatre in Athens, Andrews Upstairs in Atlanta or the State Theater in Albany. In 2006, the group opened for Hank Williams, Jr. in the 1st annual World’s Largest Outdoor Cocktail Party in Waynesville, Georgia. The Kinchafoonee Cowboys are still together and touring in 2013-14. Check out their tour schedule on their website, and you can follow them on Facebook, Twitter, and more.